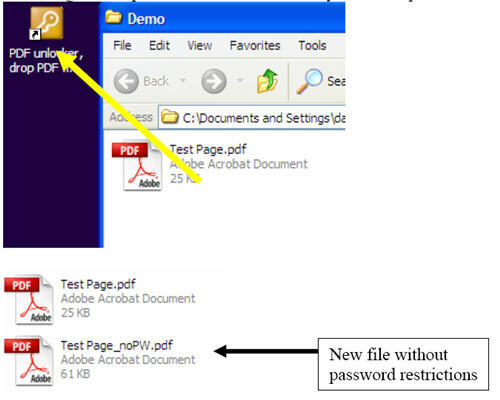 Wondering how to unlock PDF files and remove password restrictions? Here are some free online PDF Unlocker tools and desktop freeware for windows XP, Windows 7 etc. Have you come here looking for information on how to unlock PDF files? Then you are at the right place and you can find a few free PDF unlocker tools to unlock PDF documents. PDF is the most preferred file format to distribute documents as it is considered t be a more secure format. You may find a lot of e-books, research papers and documents online in PDF format. Though there are several free PDF readers to open and view any PDF document, it is not possible to open password protected PDF documents. The owner of a PDF document may secure and lock it in using the following methods. 2. He may allow users to open the document but restrict them from modifying, extracting or copying the contents of the PDF document.This can achieved by assigning a “Owner Password” to the document. In the second scenario i.e. if the restriction is imposed only on editing and copying and not on printing the document, you may get around the restriction by trying to print the PDF file to a PDF printer.There are several free PDF printers available on the web. One such free PDF printer is PrimoPDF, which is a free PDF creator to create PDF files from any document or web page! But what if you want to unlock the PDF files restricted with a “User Password” or any PDF document that is restricted from being copied or printed, with a “Owner Password”? We had earlier covered a free PDF Password remover. You may find here details on using the free PDF Unlocker. How to get around “Owner password” restrictions? To get around “Owner password” restrictions, simply drag and drop the PDF file over the link on your desktop. A new PDF file is created in the same directory as the original pdf file. You can then rename the file, if you want. That is it! 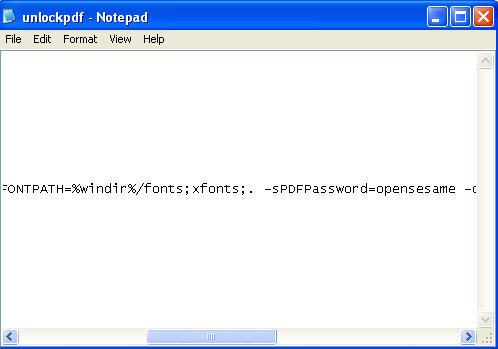 Thanks to Brian, who pointed out this error in the comments to the PDF Password Remover post. How to get around “User password” restrictions? It is however difficult to get around “User password” restrictions. You must be knowing the “User Password”. You can then remove the User password and any other restrictions by right clicking the link labeled “PDF unlocker, drop PDF files here” and choosing “edit”. Then find “-sPDFPassword=” and append the actual open password i.e. if the password is “opensesame” then append it as shown below. After appending the password, close and save the file. Then drag and drop the PDF over the link on your desktop. A new PDF file is created. Make sure the directory of the original file is not read only, as the new file will be saved to the same directory. You may choose to rename the file, if you want. If you don’t prefer a software to unlock PDF password, then you can try these free online PDF password removal sites to remove restrictions from PDF files. Enjoy the free PDF unlocker! How To Unlock PDF File Without Password And Decrypt It? pdfunlock worked a treat, enables me to just copy and paste, thanks for that was afraid due to previous comments I would just end up with blank file but nope, thanks. How about in Windows 7? I changed the text to ” vs %, but it still flashes the cmd window, but makes no new file for me. Any ideas? Thanks. I think there are many people want to unlock secured PDF files for editing. Copy and print restrictions deeds are easy to get around as you stated methods. For further modification of pdf files, you can either use a PDF to Word Converter that also deals with owner password protected files while converting.